What Is The Biggest Casino in Chile? - Casino Answers! Casino Answers » Casino Trivia » What Is The Biggest Casino in Chile? What Is The Biggest Casino in Chile? South America is a beautiful place, full of diverse cultures, beautiful surroundings and great experiences. One of the countries on this continent that epitomizes all three of these facets is Chile. The biggest draw to Chile is perhaps the Andes mountains, which sets the standard for beautiful surroundings. The country is also steeped in various histories, with Spanish ancestry being the most predominant, but various South American tribes have a hand in the story of Chile, which brings together all the diverse cultures under one umbrella. And as for experiences, tourism is the booming sector of the Chilean economy, growing by double figures year upon year, meaning there is always major investment going on to provide visitors with as many unique experiences as possible. That is, of course, on top of the historical architecture and beautiful lakes and mountains that millions of people come to see each year. As part of the major investment in tourist experiences, the biggest casino in Chile was created just south of the capital city, Santiago. The biggest casino in Chile is the Monticello Grand Casino and Entertainment World, which was opened in December 2009 (by Marc Anthony and Jennifer Lopez, if you are interested), and it is also one of the biggest casinos on the continent of South America. Not only is the Monticello Grand Casino and Entertainment World a casino, it has several restaurants, a spa, conference center, hotel and also an entertainment complex which plays hosts to a variety of shows throughout the year. Monticello Grand Casino and Entertainment World is managed by San Francisco Investment SA, who have received investment from major businesses such as Sun International, ensuring there is a wealth of experience at the helm. Monticello Grand Casino and Entertainment World also boasts over 100,000 visitors to its facility every month, making it one of the busiest venues in the entire country. As you would expect from such a large casino, there is a huge variety of games for visitors to play. There is currently close to 2,000 slot machines for patrons to take their pick from, with all the latest innovations, brands and tie-ins on the casino floor. All you need to do is load up your Monticello Grand Casino and Entertainment World Smart Card with some cash and you can play on the various machines until you find it is time to call it a night. 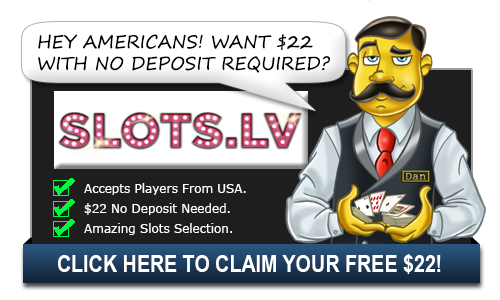 Of course, slot machines and electronic games are not for everyone – many people prefer to play on the tables and try their hand at the traditional casino games, as well as some newer ones. Monticello Grand Casino and Entertainment World currently has over 80 tables on the casino floor offering a variety of casino games, such as baccarat, American roulette, blackjack, Caribbean Stud Poker, and craps. With so many tables, visitors to Monticello Grand Casino and Entertainment World are spoiled for choice, and it is possible to be kept entertained not only for hours, but days on end with what is on offer, especially as the casino is open 24 hour a day, 7 days a week, 365 days a year. Away from the tables, there is currently four restaurants on the casino floor, offering a variety of cuisines should the desire take you to grab a bite to eat. Elsewhere in the entertainment facility, you can find another five places to have something to eat, ensuring there is plenty of choice for you. And that is what Monticello Grand Casino and Entertainment World is all about – choice. Choice from a great selection of games and slot machines, a great choice of restaurants, and also a choice of of 155 rooms in the on-site five star hotel. It is fair to say that Monticello Grand Casino and Entertainment World is one of the modern jewels in Chile’s crown. The owners have a great track record around the world of developing great high-end casinos that offer the ultimate gaming experience, and the Monticello Grand Casino and Entertainment World continues that tradition. Even if if you only venture out to take in a show and miss out the casino entirely, you will definitely be impressed by the Monticello Grand Casino and Entertainment World.